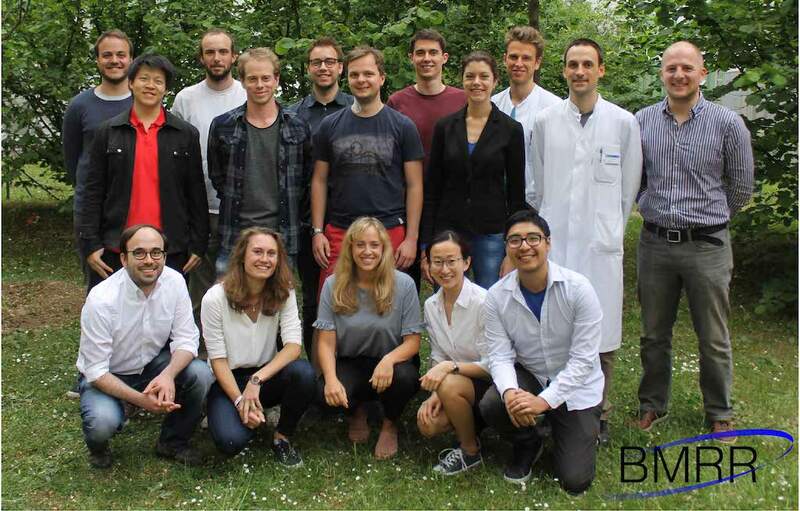 Welcome to the Body Magnetic Resonance Research Group! We are part of the Department of Diagnostic and Interventional Radiology at the Technical University of Munich and we are located in Klinikum rechts der Isar. Our research focuses on the development of novel Magnetic Resonance Imaging (MRI) acquisition and reconstruction methods with an emphasis on the extraction of quantitative imaging biomarkers. The developed methods are being translated into clinical studies for improving the diagnosis, the therapy monitoring, and the understanding of disease pathophysiology in the diseases of the musculoskeletal system (e.g. osteoporosis, neuropathies, neuromuscular diseases), in metabolic dysfunction (e.g. obesity, diabetes, cachexia) and in body oncology. We are continuously actively looking for motivated physics, engineering, computer science and medical students to join our group and contribute to our interdisciplinary research. If you are interested please contact Dr. Karampinos directly. There is currently no job posting.